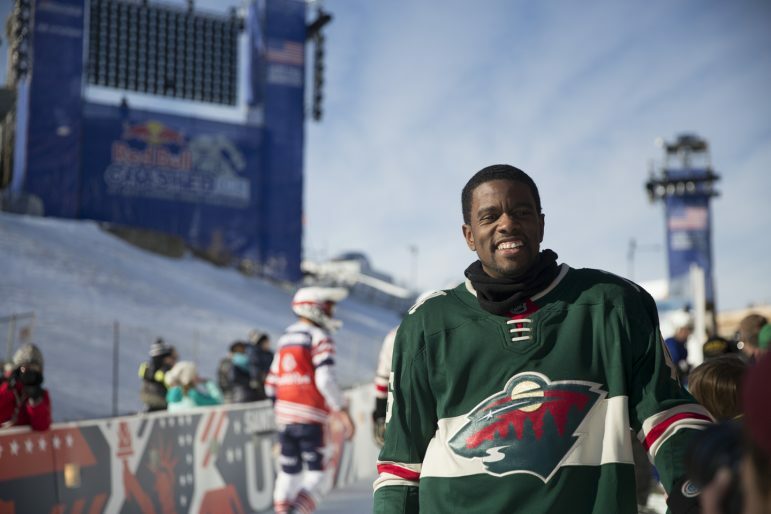 Red Bull Crashed Ice returned to Saint Paul for the seventh consecutive year. The two-day event has brought in over 100,000 fans in previous years to watch men and women compete by skating down an obstacle course made of ice. Each year, the course is different, adding new aspects and a different level of competition. The fast, icy fun runs from the Cathedral of Saint Paul to downtown. 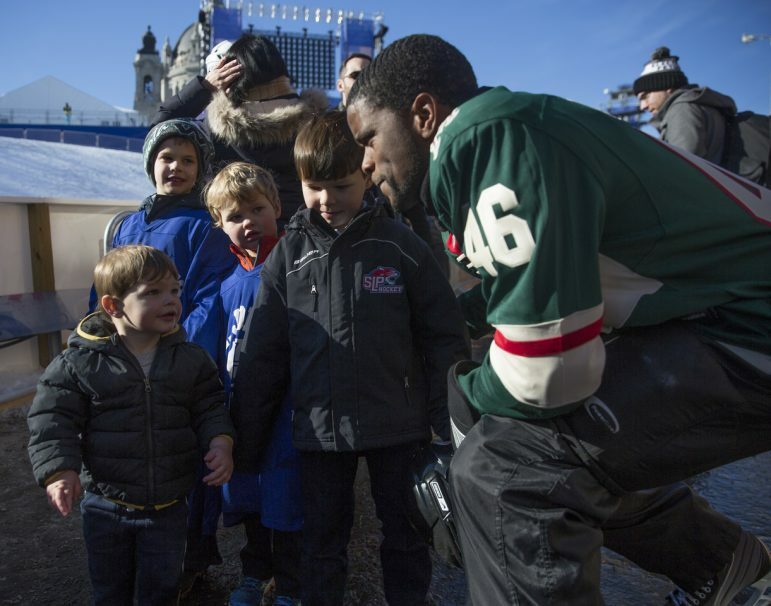 Saint Paul Mayor Melvin Carter, III carried on the tradition started by former mayor Chris Coleman and skated the Crashed Ice course Thursday. Like Coleman, Mayor Carter was not a rookie to skating or hockey before the event. “I grew up playing hockey and actually speed skating, as well. 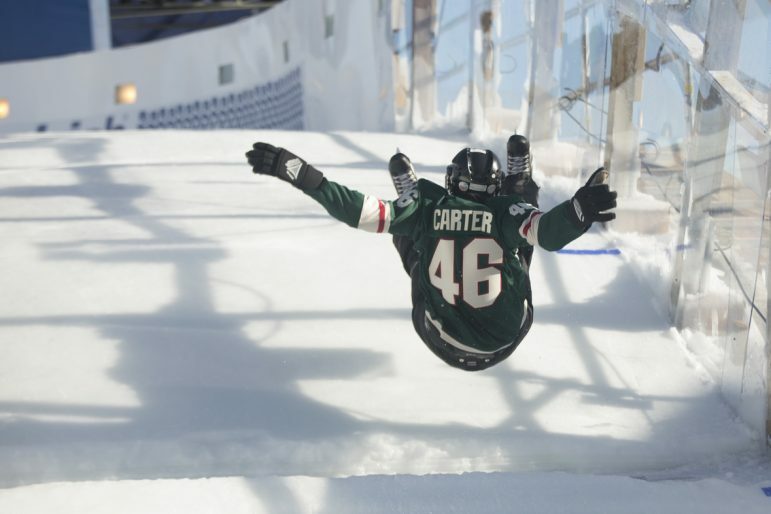 I’m a Minnesota kid; I grew up on the ice,” Carter told the MSR when asked if he had previous skating experience. Mayor Carter started at the bottom of the course and completed it in sections. With a couple of wipeouts, but no injuries, he ended his day at the course after going through nearly all of the sections of the ramp. “This ice is downhill; it’s choppy. I couldn’t imagine racing it with three other guys on it,” Carter said. “Scary. This is scary — don’t try this at home!” he warned while on the course. The gates for the event open at 6 pm for both Friday and Saturday. This year the event is free to the public, but if you want to access the bottom half of the ramp or a special VIP tent, tickets are required. Tickets range from $20-$350. Kids 10 and under are admitted free. For more information, go here. Mayor Carter gets ready to drop into a section of the ramp at the bottom of the course. Melvin Carter slides down a section of the ramp. Mayor Carter walks down a section of the ramp at the Red Bull Crashed Ice. Mayor Carter prepares for a photo with kids attending the event. Athletes competing in the Red Bull Crashed Ice event in Saint Paul, Minnesota go through practice runs to prepare for time trials and events on Friday and Saturday. Chris Juhn welcomes reader responses to cjuhn@spokesman-recorder.com.